From 25 January to 15 March in the gallery of famous St. Petersburg artist Dmitry Kustanovich - Gallery of Kustanovich - an exhibition of paintings - "Spatial realism". Spatial realism – style painting of Dmitry Kustanovich, which is depicted within the same plane and within a realistic method space through the expressive means of painting acquires a three-dimensional effect and dynamism. 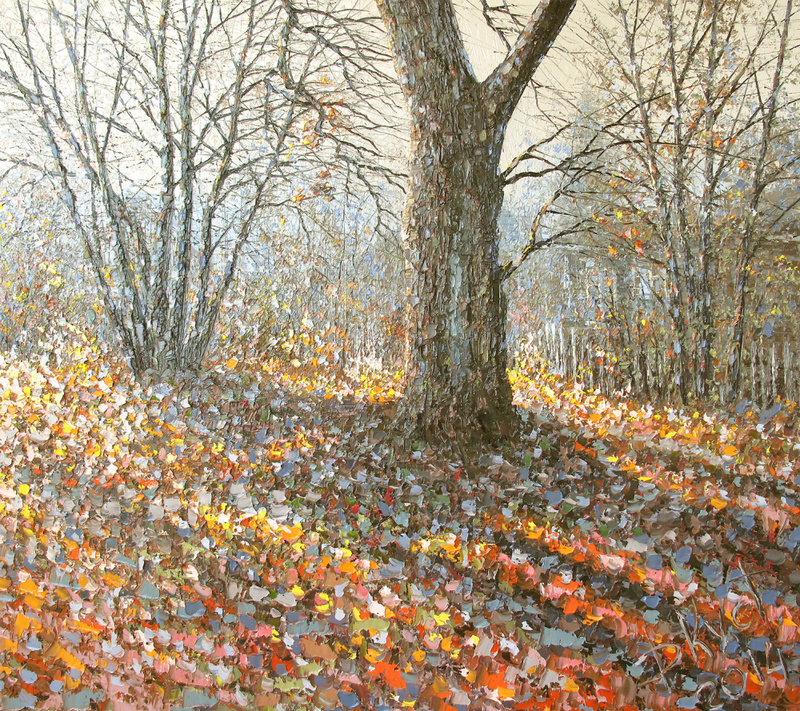 Dmitry Kustanovich entered the history of painting as an artist, who became the founder of a new style of painting, as an artist, "escaped beyond the limited plane". Based on the idea that each period in the history of art has its context of art, we can say that spatial realism Kustanovich reveals the features of modern artistic perception – quick, dynamic, fragmented, kaleidoscopic. The artist actually reviewing the classical concept of the picture – window into another reality, as the song in his works organizes not only domestic field, but also actively engages external relations. The artist's works on the structure of your space give the impression of improvisation, and in this sense a deep understanding by the artist of the Zeitgeist. However, his works are also inherent characteristics of contemplation and romance. If "improvizirovat" is something that reflects the spirit of the modern period, that contemplation is something that is peculiar to the artist. It is to this way of perceiving it encourages the viewer and so "looks" myself. We can say that the artist worked long and leisurely examines and explores the reality, and then promptly recreates it on canvas. The paradoxical combination of these opposite properties are distinguished by the artist and reveals their originality and uniqueness. The world reflected in the paintings of the artist, appears in different images – the peaceful and dynamic, monumental and lyrical, sublimely solemn and intimate. However, all these images have one thing in common – they are focused on interaction and dialogue with the audience. The repertoire of motifs and themes in the works Kustanovich is inextricably linked with images of the world, this explains the penetrating character of the products and their ability to evoke in the minds of each person. Addressing each of the topics, the artist seeks to find the true depth of the image and tends to repel lofty and spiritualized phenomena of this world. In the works of Kustanovich find the expression of the spiritual meanings of culture. Key ideas that are embedded in the works of the author, have a deep connection with the traditional Russian artistic perception of the world and Russian religious philosophy. Relationship with the tradition at a substantial level and the creation of the form in which it can exist in the modern world, are features of the author's method of the artist constitute the essential novelty of his style and one of its main features. Gallery of Kustanovich located at the address: SPb, Bolshaya Konyushennaya, 11 (2nd courtyard of the Chapel) and is open daily from 12-00 to 20-00.